The Tyndale Unicode Font Kit is one good option, but I don't really like the way it requires you to type the Greek accents and breathings before you type the vowel. (The Greek Polytonic keyboard that can be installed through the Windows system is similar.) The Hebrew keyboard is different but reasonable. What's nice about this kit is that it has good documentation with installations for various Windows systems as well as Macs. It also helpfully installs the Cardo Unicode font which is great, free font for biblical studies since it includes a full set of Hebrew, Greek, transliteration, and critical marker characters. For my less tech-savvy students, I just have them use this kit. The keyboards offered by Logos are another good option for Windows users and come with helpful installation and layout guides. Keyboards are available for Greek, Hebrew, Syriac, Coptic, and also a Transliteration keyboard. If you do a lot of transliterating of Greek or Hebrew, that last one is very helpful as a replacement for the standard US keyboard. (There is, however, a minor issue with the Greek Unicode due to its Beta Code background. E.g., to get an eta with a rough breathing, acute accent, and iota subscript, you need to enter the characters exactly in that order to get a proper combined character made of the four different elements. Using Keyman as I describe below, it doesn't matter which order you use after entering the vowel, and the result is the proper and preferred precomposed character.) The Hebrew keyboard is a bit different, but it can be easily learned. If you regularly type in both Hebrew and Syriac, this is probably the best way to go, because the Syriac keyboard matches the Hebrew as much as possible. There are web options for typing Greek. You will want to remember at least one of these, because it doesn't matter what operating system you are using, and if you are not at your own machine, you can go to one of these sites to get the proper Greek you need.You simply type and then use copy/paste to get the text into your document. TypeGreek: TypeGreek does not require Beta Code ordering of diacritic entry and returns the proper precomposed character. The only thing I don't like about this site is that to get keyboard help, when you click on the button, it takes you a different page, and you lose everything you have already entered. Greek Inputter: This one does use Beta Code ordering, but it provides good keyboard help just below the input window. KeymanWeb Notepad: This is a great way to gain access to hundreds of left-to-right language keyboards. It is a type/copy/paste option, but you do have a popup keyboard to help. Tavultesoft Keyman: The reason for trying to get this post up is that there is a great sale on Keyman only good through 19 September 2012. Keyman is for Windows only, but it really is the most elegant way to type in Greek and Hebrew (and a multitude of other languages). I like the Greek keyboard layout, and it properly creates the precomposed characters. You have the option of having an onscreen keyboard popup when you type which is a great help. (Cf. the graphic at top) It has yet another Hebrew layout which is reasonable enough, and you do have the onscreen keyboard help. Installation is a little more involved than I would like (but it perhaps was due to the other keyboards I had already installed). Keyman kind of comes between you and operating system (unlike the Logos keyboards which become part of it), so if you look at your Greek and Hebrew keyboards in your Regional Language settings, they will say that you are using a US (or whatever your default language is) keyboard. Personally, I set up a macro in MS Word which I then assigned to a hotkey so that when I hit Shift-Alt-G, I activate the Greek keyboard and switch to Cardo font. Hitting that hotkey again toggles me back to English and the default fault. There must be hundreds of keyboards available for languages throughout the world. For Greek and Hebrew, I recommend using the Galaxie BibleScript Mnemonic Keyboards. (If you also type in Syriac, your best bet is the basic Syriac Phonetic keyboard, but it does not exactly match the Hebrew. You might be better off looking at the Logos keyboards.) If you do a lot of typing in Hebrew and Greek this is a great solution. BTW, you can download an evaluation version that's good for 30 days. And, until 19 September 2012 you can get Keyman at a great price that is 70% off. The Light version is only $9 (or $14 for 2 licenses - each system needs its own license), and the Professional version is $25 ($40 for 2 licenses). The most important difference between the Light and Professional is that you are limited to only two keyboards in the Light version. USE THIS LINK to get the discount. BOTTOM LINE: I bought 2 licenses of Keyman (one for home, one for school system). 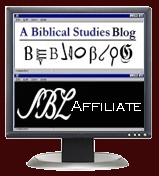 I use Shibboleth for occasional typing in other biblical languages. I use TypeGreek when I'm not working on one of my own systems. Another option online is Keyman Web. You can use the notepad online to type using he same keyboards available in the desktop version. You can also set up a bookmarklet that will allow you to type in Unicode using Keyman keyboards on any web page. It comes in handy for searching TLG! I also purchased the tavultesoft Lehman program. I really like it because it allows me to just toggle between Greek Hebrew or English with just a mouse click. Ezra sil Hebrew font is also one that I like. I forget which green one I use. I meant to say keyman desktop but autocorrect sunk me. Thank you very much for this useful post. Now I am the happy licensee of Keyman! How to create book market? The link changed but is now updated.